India has the honour of visualising the light of the Vedas, the most sacred knowledge, which the humanity has ever produced. The authors of the Vedas were the Rsis who had visualised the truth and knowledge of the universe in their intuition through penance. 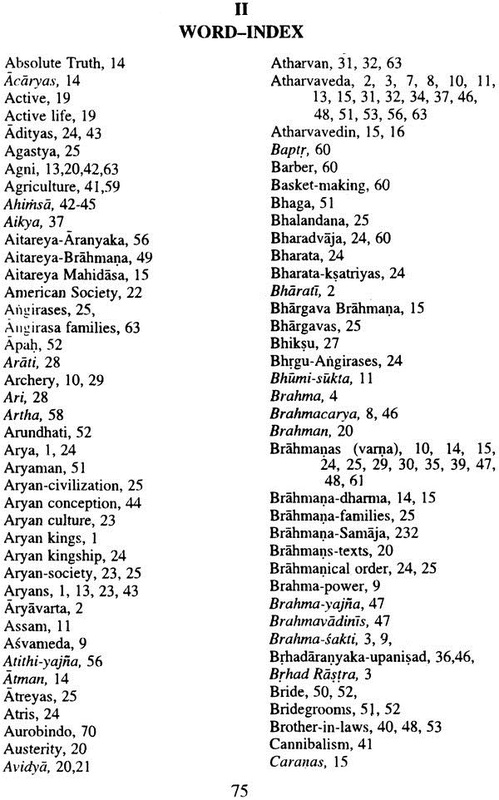 It is our privilege that we are directly related to those Rsis as their descendants and we have inherited their great knowledge in form of Vedas. Therefore, it is our abounden duty to know the Vedas and follow their teachings in our practical life. There was a time when our each and every activity and behaviour were guided by the tenets and commandments of the Vedas. There was none who was, directly or indirectly, not connected with the Vedas. But, that situation does not prevail today. What to speak of studying the Vedas, most of the persons even do not know what is Veda? 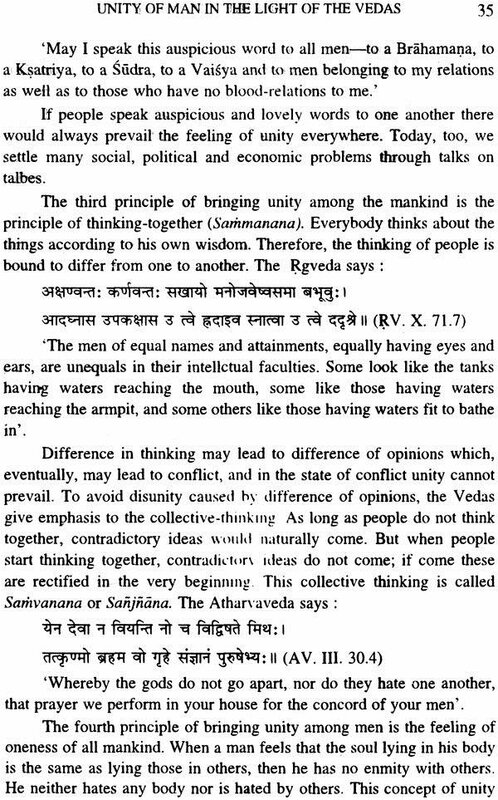 What to talk of common people who are illiterate, most of the educated class of people do not think the necessity of even knowing about the Vedas. This situation is self-immolating; hence it should not be allowed to continue any more. We will have to make efforts, firstly, to check such tendencies, and secondly, to provide such materials which could generate the love for the Vedas, not only among the common people, but also among the educated class of people. What are the teachings of the Vedas and what relevance those teachings have today, must be brought to fore. Today humanity is facing lot of problems relating to individual, family, social, national and global life. Therefore, it is natural that such questions, like, what is life, what is society, what is firmly-life; and what role a man has to play as an individual, or as a family—member or as a member of society in which he lives, should come to him. Similarly on national or global levels, too, such questions, like, what is nation, what is nationality, what are the national problems, how could the same be solved, and what are the responsibilities of a citizen to his nation and to the other nations of the world, should also arise. Many commissions and organisations are set-up to find out solutions to those problems. But no permanent solution has ever come out from these commissions and organisations which could solve the problems. On the contrary, they have given rise to the conflicts on all levels, viz., individual, family, social, national or global. The main reason of this is that the solutions suggested for are not equally applicable to all 1 the concept suggested for upkeeping of the family—life may not be keeping well with the social life; the concept suggested for upkeeping of the social life may not be keeping well with the national life, and the concept suggested for upkeeping of national life may not be keeping well with the global life. Under this circumstance, no concept propounded by the modern thinkers seems to solve the problems. Vedas, as the universal constitution of mankind, based on the principles of natural and divine laws, have such concepts which are equally applicable to the individual, family, social, national and global _ lives for their all—round developments. For example, the doctrine of Susaha ‘co-operation par excellence’ comprising of the principles of walking—together (sangamana), talking—together (samvadana) and thinking- together (sammanana), as proclaimed by the seers of the Vedas, is as good to an individual as to a family, to a society, to a nation and to the entire humanity, The Rsis of the Vedas look towards the entire universe as a ‘nest’ (Nidam), the entire earth as a ‘house’ (Okas) and the entire humanity as a ‘family’ (Kutumba). 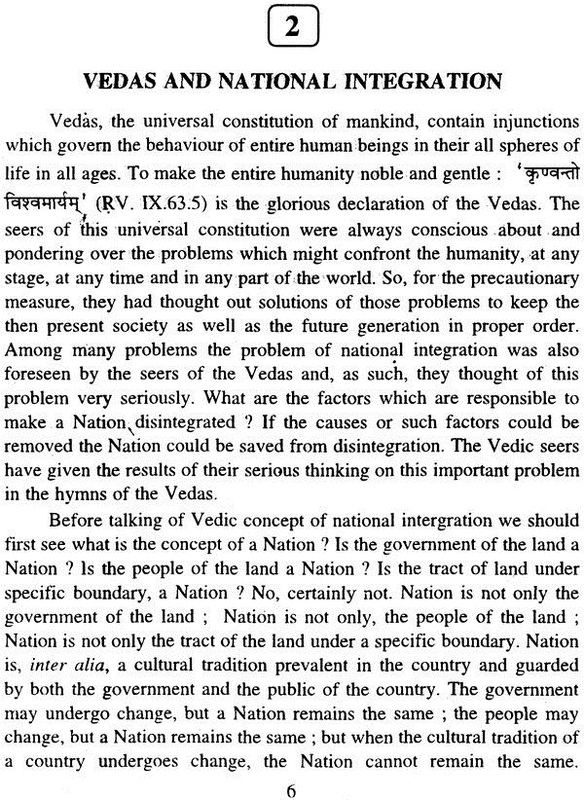 As to the problem of National-integration the Vedas give one solution, viz., everybody must look himself as the best own-person of the Nation’ (a ham rastrasyabhivarge nijo bhuyasam uttamah). The concept of ‘the best own person of the nation’ can only be illustrated in the relation of a ‘mother and her son’ (mata bhumih putro aham prthivyah). And for the protection of the nation, leaders must be -ever-vigilant (vayam rastre jagryama purohitah). Therefore, in nut—shell, for the solutions of all problems we will have to go to the Vedas. With this background in view, some years back when I had, gone to Jalandhar for recording my talk on ‘Socialist Ideas in the Vedas’•—I found a suitable occasion to have an open discussion with Shri Rajendra Prasad, the then Station—Director, All India Radio, Jalandhar. He requested me to deliver some talks in series on Vedic concepts which should be useful for the common people. In response to his request, I suggested some topics, and he promptly agreed to broadcast my talks on those topics. My talks we broadcasted from All India Radio, Jalandhar with normal intervals, as per convencience of the authorities. Most of those talks were repeated many times. As those talks on Vedic concepts were very much appreciated by the authorities of the All India Radio, Jalandhar and the regular listeners of the programme, it was suggested by them that I should publish them for the benefit of the common readers. This book is a collection of those very talks which were broadcasted from All India Radio, Jalandhar from time to time. Now I am very happy in presenting those talks on Vedic concepts in a printed book form in the hands of common readers interested to know our cultural heritage enshrined in the Vedas. It would give me more pleasure and satisfaction if it could cater to their hunger for knowing the I Vedic concepts in proper perspective. Now I fell it my moral duty to express my thanks to the then authorities of the All India Radio, Jalandhar specially to Shri Rajendra Prasad and Shri S.S. Sharma for their taking great interest in initiating the series of talks on Vedic concepts. I am also thankful to the listeners who very much appreciated those talks. It was their appreciation which inspired me to publish those talks in a book. Now they will be able to read those talks which they had once listened. 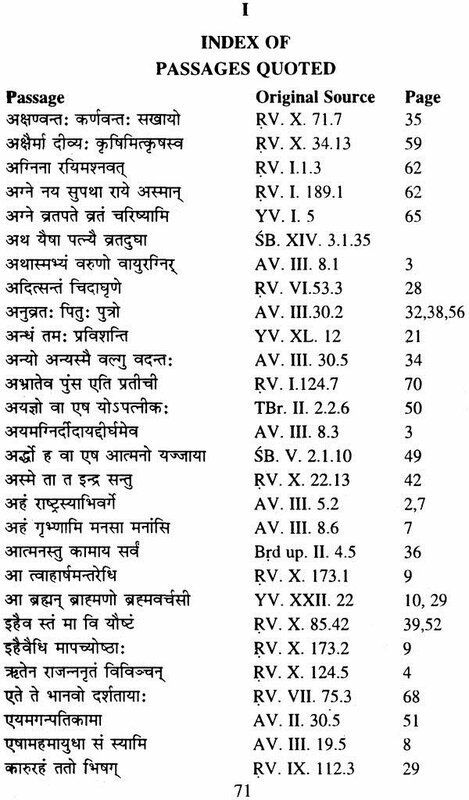 At the end I would also like to express my thanks to Shri Ram prakash ji, the proprietor of the Manooja Offset Works for getting it printed very nicely and to Shri Lalit Mohan Chaddha for helping me in transaction of the proofs when the book was in press.